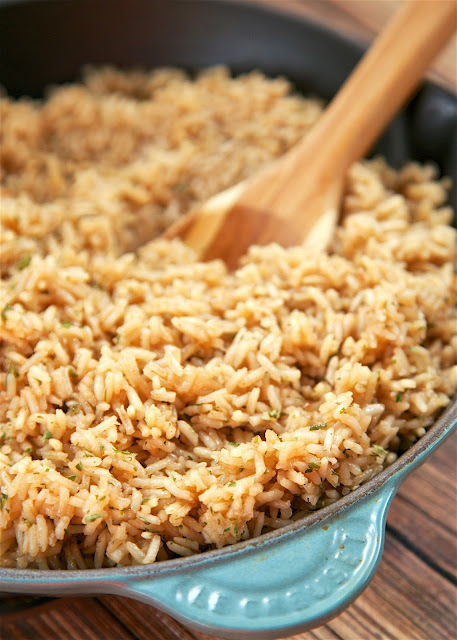 Beer Rice - recipe from my Mom's vintage cookbook from the 60s. Only 5 ingredients and it's ready in 20 minutes. Use your favorite beer for this easy side dish!! For Christmas, my Mom gave me one of her old cookbooks - The How to Keep Him (After You've Caught Him) Cookbook. It was published back in 1968. It is hilarious for today's world. The authors give you tips for keeping your man happy and entertaining him and his friends at the beginning of each chapter. I'm sure it was all great information for a happy housewife in the 60s. It reminded me of Mad Men! I was thumbing through the book and came across this recipe for Beer Rice. It sounded interesting, so I gave it a try. We both loved it! It only has 5 ingredients and is ready in about 20 minutes I used bottle of Beck's beer, but this will work with any brand of beer. Make sure to use your favorite beer so you enjoy the flavor. In a large skillet over medium heat, melt butter. Add rice and cook for 5 minutes, until starting to brown. Add beer, water and onion powder. Cover and simmer for 20 to 25 minutes, until liquid is absorbed. I want your pan this is in! Is it a Le Creuset? 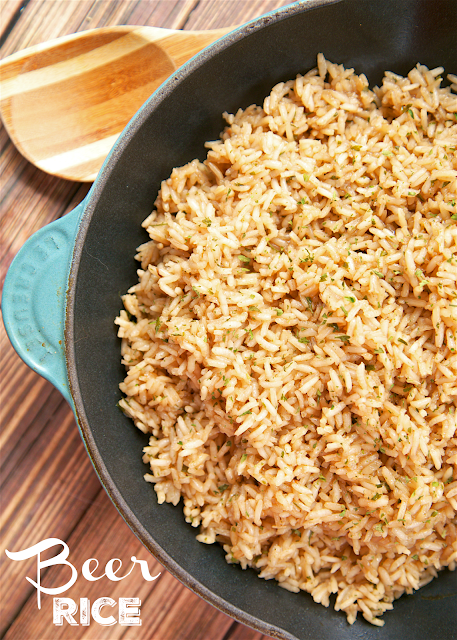 I think I may have to try this, even though I'm not sure I want my rice tasting like beer LOL Thanks for the recipe! 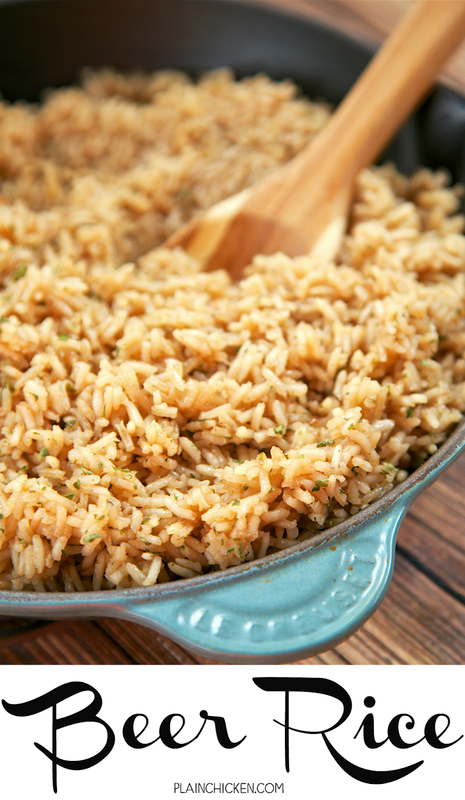 I see some specks of green in the rice...did you add a little something extra?